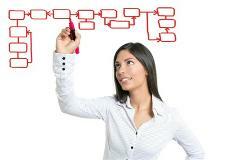 Diashapes makes it easy to download and install additional Dia symbols. Dia and Diashapes are Open Source software. Diashapes 0.3.0 requires an internet connection and the .NET Framework 2.0 or higher (included in Windows Vista, Windows 7 and Windows 8). For Windows XP and Windows 2000 the necessary download is available from Microsoft. 32-bit and 64-bit versions of Windows, Mac OS X and Linux are supported. For Linux and Mac OS X, the Mono runtine is required. 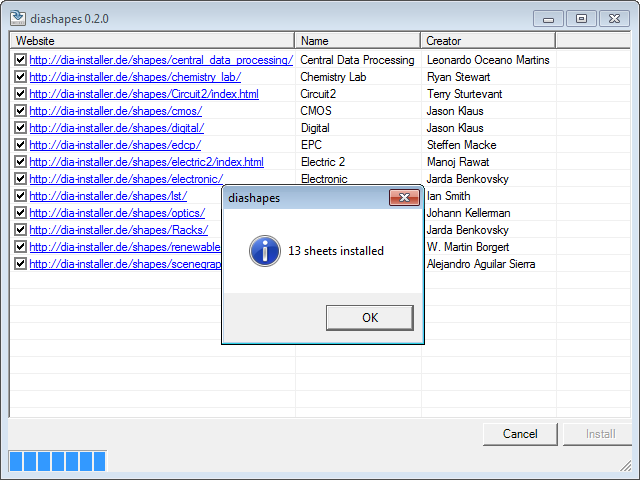 Diashapes 0.3.0: Sheets and shapes can now be overwritten (updated). Diashapes is free software available under the terms of the GNU General Public License, the GPLv2. The Diashapes source code is managed in a Git Repository.